Zagreb has its own unique flair. Being at the crossroads between East and West, the Mediterranean and Continental mindset, it cherishes its culture and lifestyle. Zagreb is the Capital of Croatia. As the largest city in Croatia, it is the cultural, scientific, economic, political and administrative centre of the country. It has it all culture, arts, music, architecture, gastronomy everything you need from a capital city. In terms of travel and experiences, we like to think of it as a forever developing city with an old soul and flair. TIP: Zagreb is meant to be explored on foot. Wander its streets and don’t forget to stop by at a local cafe. The Croatian Capital is developing into an urban metropolis bursting with vibrant street life. The city hosts numerous events, but even when there’s nothing on, the city centre is filled with fresh energy. With its more than 900-year old history, the city lives a rich cultural life. Its million hearts strive to stay romantic and exciting. Enjoy charming walks in a city full of parks and experience its soul and identity. What is Zagreb known for? Wondering is Zagreb worth visiting? There are many things, the most recent ones are Zagreb Advent and our Museum of Broken Relationships. 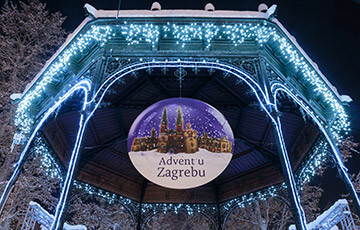 Zagreb Advent and Christmas Market has been voted European Best Advent 3 years in a row. Alongside the Advent, I believe the Museum of Broken Relationships gave the city its latest international buzz. It is the most popular museum where the displays are emotions. Foodie Culture as new interesting hotspots continually pop up. 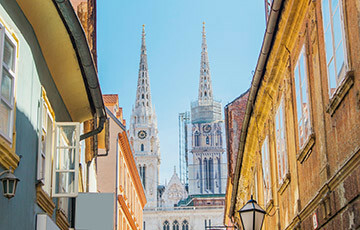 Art, History & Architecture, as a 900+ years old Zagreb is a treasure trove of historical sights. Don’t stop there as you only limit your experience by the time you spend in Zagreb. The city is thriving, and there are new things to see and do every year. Definitely yes! I have been living here all my life and Zagreb never got boring. It is forever developing, and I am amazed at how much there is to do. Visit Zagreb if you like relaxed exploring. Take your time with it and its narrow streets, visit the must-sees but also stray off the path. It’s easy to ramble around and explore the city your way. If you like to dine, Zagreb is bursting with new culinary delights. Both international and local. The best thing, the city is easygoing and easily explored, providing you with sights at every corner. 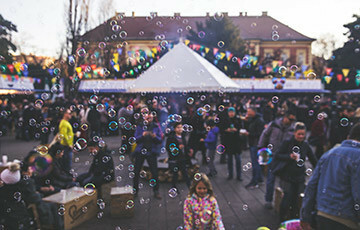 The Croatian Capital offers vibrant food markets, everyday coffee culture and street festivals. In some cases, all you need is to look up and look at its architecture, or stroll through its streets and stop by at a nearby cafe. 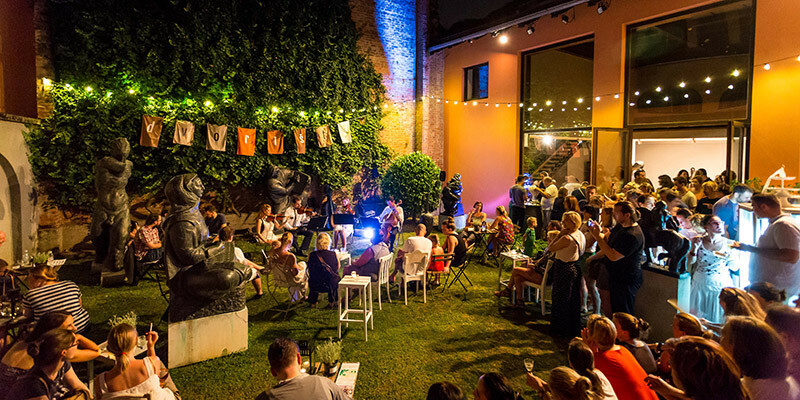 It all depends on your interests, and that is why we categorised Zagreb Attractions by Theme, to help you find what suits you best. If you are wondering is Zagreb near the sea, it all depends on how you look at it. It has Jarun lake, which locals refer to as Zagreb sea, but the Adriatic is a bit further. A short an hour and a half drive and you can be in Opatija, the queen of the Adriatic and the city with the longest standing tourism tradition in Croatia. Actually, I started out to state 10 top reasons to Visit Zagreb. But once I started writing I just kept going… I made it 15 so not to overdo it. We also have amazing Ice Cream and Schnaps, but that will just keep me going. This is a short list of reasons to Visit Zagreb, you can read our full article on Top Reasons to Visit Zagreb to get a more detailed answer. The real question is not if it’s worth visiting, but how long you should stay! The best advice we can give you is to bring comfortable shoes as the city should be explored on foot. Take a day and explore the Upper Town, visit its museums, parks and galleries. Zagreb is, in general, a very safe city to visit. But just like in any other city, it’s always wise to keep alert so that you can enjoy your time here. You’ll find my city to be warm and welcoming with helpful locals, but when out in popular places, keep an eye on your belongings. It’s always a good idea to make sure you have your travel insurance organised. If you need Internet and WiFi, just drop by at the nearest cafe, have a cup of coffee and enjoy free internet. That’s what the locals do! The currency in Croatia is the Croatian Kuna (HRK). You can not pay with Euros, USD or any other currency in most places, but there are exchange offices at every bank and post office. The city uses 230 volts, AC of 50 Hertz electricity. Electric appliances use continental-style two-pin plugs or Europlug. Our tap water is of excellent quality. You can drink tap water from anywhere as long as nothing else is stated. Bottled water can be bought in supermarkets, newsstands, gas stations and delis. As I mentioned Zagreb is over 900 years old. In 1094. The Hungarian King Ladislas established the Zagreb Diocese, this is the first recorded appearance. The city began as the settlements on two hills. Gradec and religious Kaptol which today is known as the Upper Town. As the Croatian Capital is located in the centre of Europe you might refer to it as the gateway between East and West. Many foreign armies and cultures past here, leaving there mark. Through the Middle Ages, Zagreb was under Hungarian rule where both Mongols and Tatars ravaged Hungary. King Béla IV fled to Zagreb and in gratitude for keeping him safe, in 1242 Béla gave Gradec a charter proclaiming it a free royal city. The two hills Kaptol and Gradec were adversaries throughout the Middle Ages. They were separated by the Medveščak creek and its mills, the present day Tkalčićeva street. Unfortunately, this conflict continued until the city started expanding onto the valley. Gradec and Kaptol were finally united in 1851 by ban Josip Jelačić. After the 1880 devastating Zagreb earthquake, up to and after World War I, the city flourished. And during World War II, Zagreb became the capital of the Independent State of Croatia, which was backed by Nazi Germany and the Italians. The city was liberated from the Ustaša regime by the Partisans at the end of the war. From 1945 until 1990, Zagreb was the capital of the Socialist Republic of Croatia where it lived through its biggest expansion and development. Finally, after the country formally declared independence in June 1991, Zagreb became the capital of the Republic of Croatia. 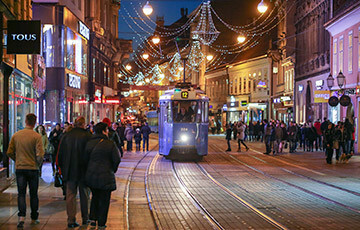 The weather in Zagreb is defined by its four seasons and it is a regular continental climate. But to summarise we get a bit of rain, snow, wind and a lot of sunshine. Zagreb Summers are warm. Around the end of May, the temperatures start to rise. The temperatures average around 22 °C with July being the hottest with a 27 °C of average maximum. During Autumn, Zagreb experiences a pleasant temperature. The average high is at 15 °C, but during the night and early morning, it gets chilly. Winters, on the other hand, can get very cold. January is the coldest month with temperatures falling below -4 °C. Nevertheless, as the season progresses the level of sunshine increases. Spring might be the best time in Zagreb, everything blossoms and awakens from its winter slumber. Temperatures and sunny days increase and the city sets its cafe terraces. Please let us know your thoughts or if you would like more information that will help you make your decision easier. We do not cover everything in the city. For that reason what you find on Visit Zagreb is a selection of what we believe to be the very best, coolest or funniest. Hotel or Car in Zagreb? We work with leading travel partners which offer flexible policies.